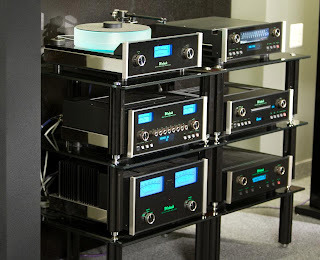 High End Audio Industry Updates: How Various Amplifier Types Differ in Working and Usage? How Various Amplifier Types Differ in Working and Usage? An amplifier is majorly used to increase the power of signal. It is an electronic audio device with an input signal either in the form of voltage or current. There are wide range of electronic amplifiers which are being most commonly used in radio and also television transmitters. The home theater amplifier components can help us to create high-end home theater environment. The features of surround sound preamplifiers are different from that of the home theater amplifier. The amplifiers used in home theaters are with different features which help to facilitate customers and fulfill their high end audio sound requirements. There are many different types of electronic components such as integrated amplifiers, stereo preamplifiers, tuners and receivers used in multi room environment. The CD player and DVD feature adds advantage to the amplifier home theater. To brief about the home theater amplifier which is also referred to as the power amplifier reason being it can be independently powered. Whenever any audio information is sent to the amplifier from any A/V receiver or decoders, it is then sent as separate audio channel. • Integrated amplifiers: An integrated amplifier basically consists of a typical amplifier and a preamplifier combined into a single box. Because of this combination of a preamplifier and amplifier it is very easy and convenient to use it. • Preamplifiers: This one helps in the reception and processing of the audio signal from various input sources which are DVD or CD player. If the audio signal is low or weak, the preamplifier can very well adjust the voltage to keep it inline. It can accurately accept the signal. • Vacuum Tube Amplifiers: The vacuum tube amplifiers use vacuum tubes as the major source for amplification and also cannot be directly connected to a loudspeaker, as it requires an additional output transformer used to match tube to the speaker. • Car Amplifiers: The car amplifiers amplify the output of the stereo system of car. This is added up to the power source of sound system, and technically it can modulate the power which is generated from car battery. This type of vehicle amp can also be used with any model or stereo. • Guitar Amplifiers: These are electronic amplifiers used in electrical instruments such as guitars. It is also of two types the combination amplifier with the amplifier head and guitar speakers in one single unit. Also the amplifier head consists of electronic circuitry which constitutes of the preamp and power amplifier. • Power Amplifiers: The main purpose of using a power amplifier is to take the signal from a source device and amplify it to make it suitable for driving a loudspeaker. This in turn results in the difference in the amplitude of the input signal and the output signal. Amplifiers and its types have brought in many revolutions in the audio industry to meet the needs of high end audio users.